OP0003. 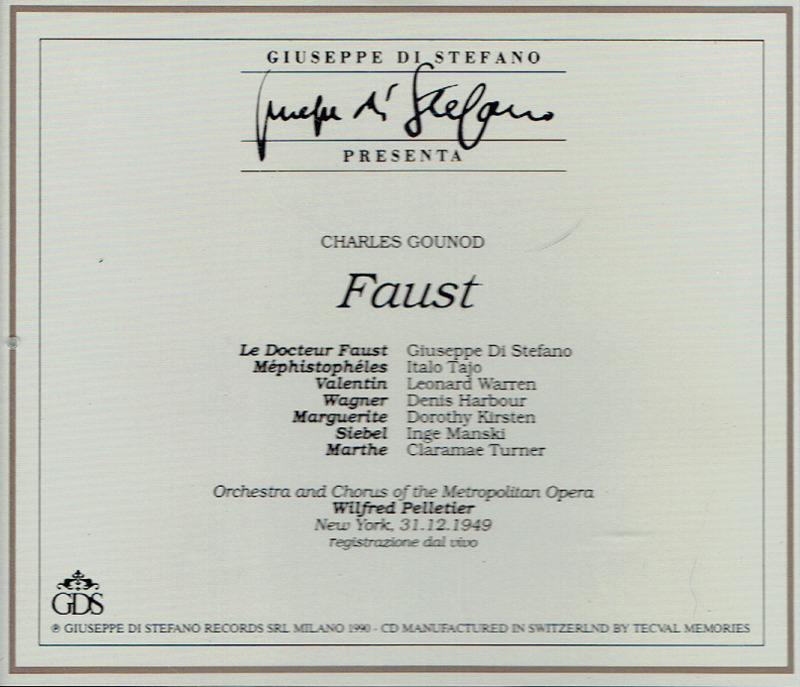 FAUST, Live Performance, 31 Dec., 1949, w.Pelletier Cond. 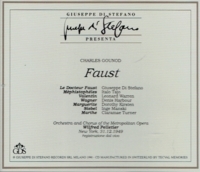 Giuseppe di Stefano, Dorothy Kirsten, Leonard Warren, Italo Tajo, Claramae Turner, etc. 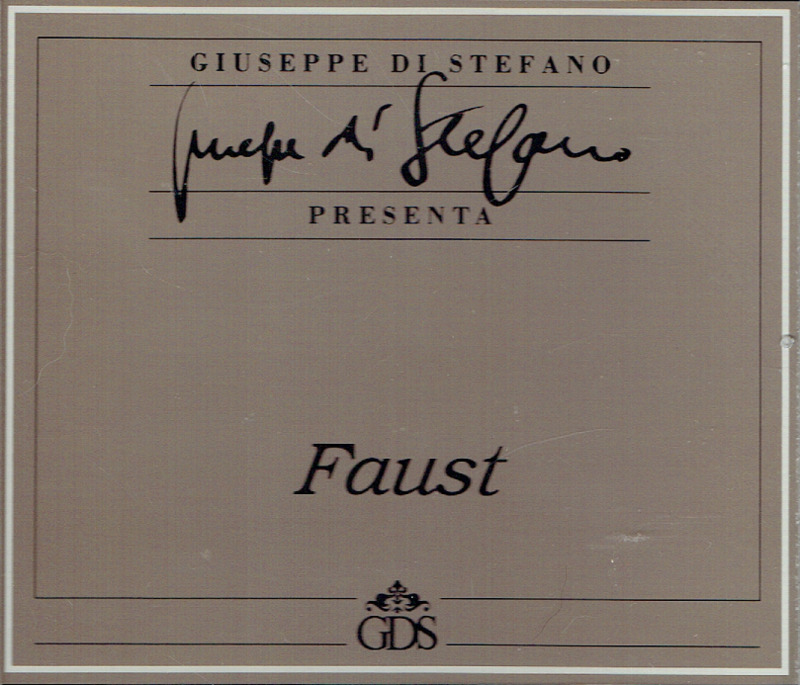 (Switzerland) 2-Giuseppe di Stefano GDS 21015. Very long out-of-print, final excellent, ever-so-sl.used copy is missing brochure.